Wet performance and rapid temperature gain, constant grip and traction powered by silica compound. Co-designed front and rear profile design, to guarantee a sporty performance on all kind of roads. High Grip compound to guarantee constant performance all through the long life of the tyre. 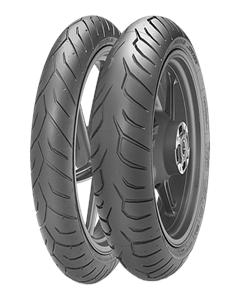 Functional and distinctive front and rear tread design to maximise water dispersal. Stable at high speed, easy to control under braking and in cornering. Ease of handling and road holding at high speed.